Active Partition Recovery for Windows XP - software for the implementation of a number of complex processes in relation to the hard drives of a personal computer. With the help of the program, the user can perform data recovery on solid-state PC drives. The utility allows you to perform a restore operation, partitioning, backup in automatic mode. The interface will be intuitive to anyone. The program can be used after damage to the HDD malware, operating system failure. The application supports a lot of modern file systems. 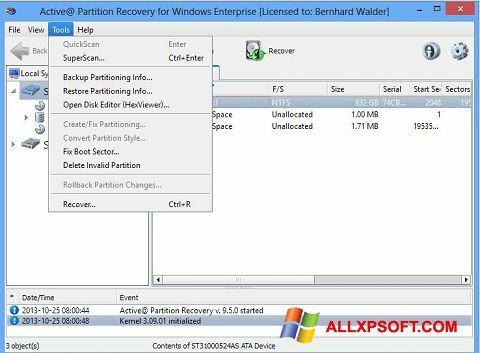 You can free download Active Partition Recovery official latest version for Windows XP in English.